Today was Day #2 of Chocolate and Salt Theme Week. Most great chocolate bars contain five ingredients or less. Today's bar was no exception. 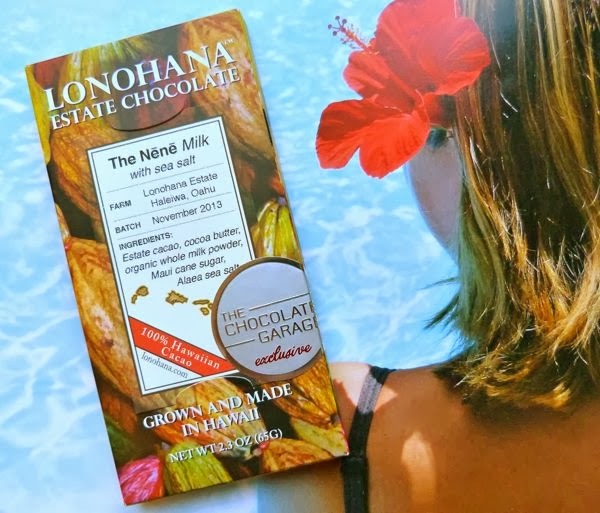 The Nene Milk with sea salt bar from Lonohana Estate Chocolate (Honolulu, HI) ingredient list read as follows: 1.) 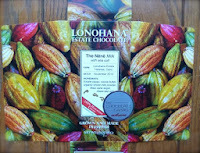 Lonohana Estate grown cacao; 2.) cocoa butter; 3.) organic whole milk powder; 4.) Maui cane sugar; and 5.) Alaea sea salt. 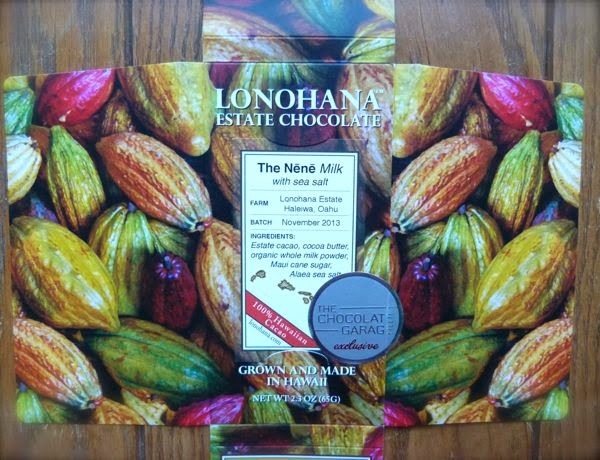 This Nene milk chocolate bar possessed wonderful caramel notes, without being overly sweet, and just the right, light touch of sea salt. 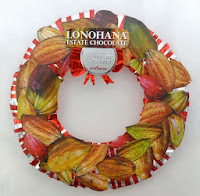 Lonohana Estate Chocolate, LLC, is the product of two families' efforts to both grow their own cacao fruit/trees in Hawaii and to make their own chocolate from the cacao beans. 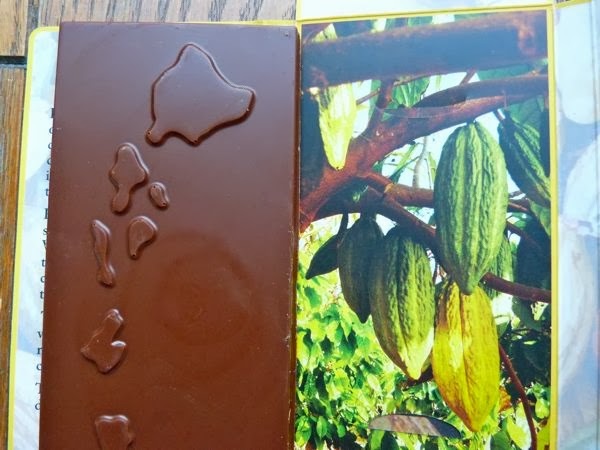 They planted their first tree back in 2009, and have started selling small production runs of bars (through a club system) within the last year. 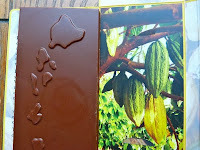 *Note: If the greatest alchemy is to turn fear into strength, the second greatest feat may be to turn cacao beans into great chocolate. There are more than 20 steps involved. The process rivals wine-making and any other complex craft food-making that I've encountered.